The Wild Detective. Photo by Kathy Tran. 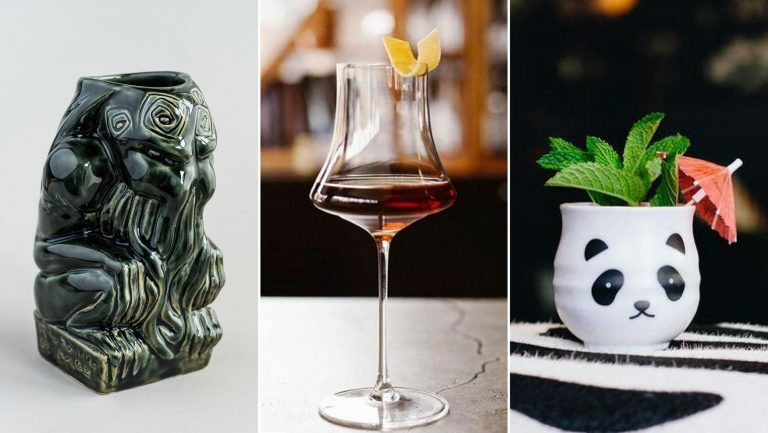 For some book lovers, booze and books go together like wine and cheese, and a number of venues are capitalizing on this pairing. Some independent bookstore-bar hybrids, like Oxford Exchange in Tampa, Florida, skew more toward a bookstore and restaurant with a cocktail program. Others, like Spotty Dog Books & Ales in Hudson, New York, serve wine and beer with bar snacks. Afterwords Café at Kramerbooks in Washington, D.C., offers a full food menu and full coffee and cocktail menus. 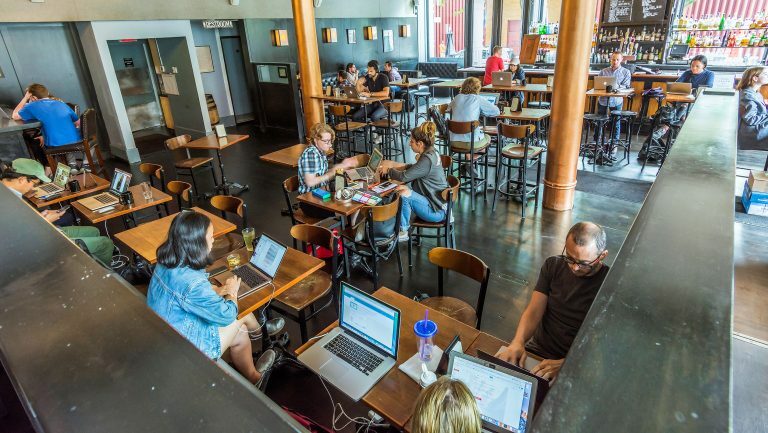 While many of these businesses have operated as hybrids since the beginning, one of the pioneers of the bookstore-bar concept, Kramerbooks, was in business as a bookstore for eight years before it added a café and bar—that currently has 18 beers on tap. 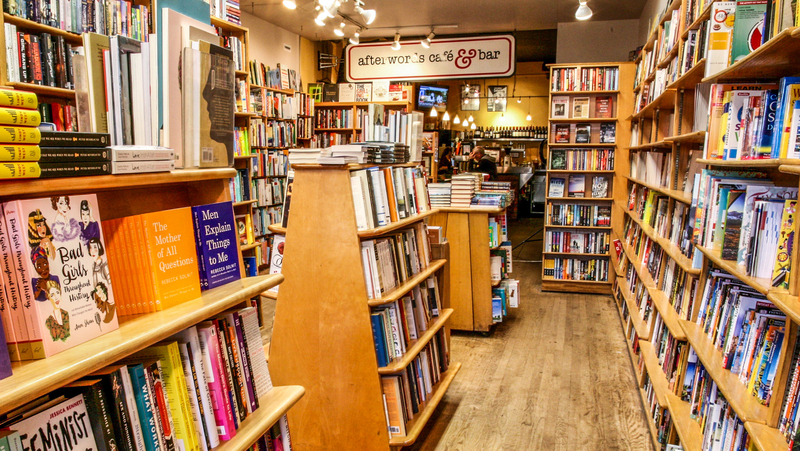 Kramerbooks, which has been open for 40 years, is about to undergo a renovation that will expand its footprint, improve its layout, and “focus heavily on better integrating the anchors of the business—the bookstore and restaurant-bar-café,” explains owner Steve Salis. Kramerbooks. Photo courtesy of Kramerbooks. The bar area, called First Draft, straddles part of the bookstore and part of the community room and can seat up to 200 people. This helps Dach monetize community events through bar sales rather than just relying on attendees at author events to buy books. For example, she says, “now that I have a bar that [can] serve Butterbeer [for the annual Harry Potter birthday party], these events are profitable.” She adds that book-themed trivia nights and a five-hour crafting event called Craft Rave draw additional crowds that contribute to bar sales. She also rents the community room for private events. “I’m amazed,” Dach says, “at how many weddings we’ve done, [as well as] anniversary parties and baby showers that are book themed. Bookstores attract people who want to learn, and those meeting rooms become an additional revenue source.” Dach estimates that book and gift sales make up about 80 percent of the business at the Phoenix store and that the bar contributes around 20 percent. But, she points out, the bar has better profit margins. 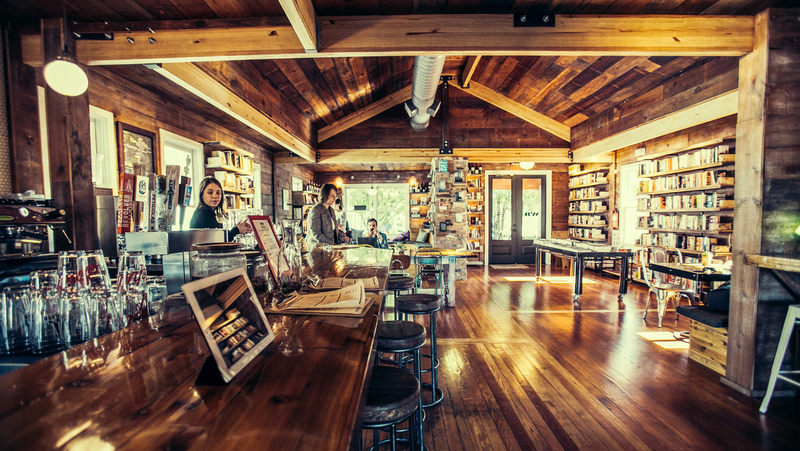 Another problem bookstore-bar owners face is how to make the most of limited space. 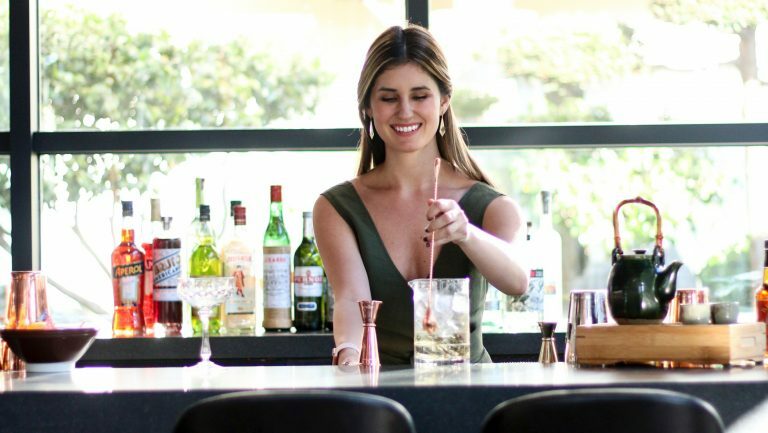 When The Wild Detectives opened in Dallas three and a half years ago, the bookstore’s bar served wine, beer, and very simple cocktails, though a craft cocktail program was implemented two years ago. The bar shifts from a coffee to an alcohol bar throughout the course of the day. “In the morning, the crowd is more of the coffee drinker [type],” says general manager Victor Rimach-Vera. 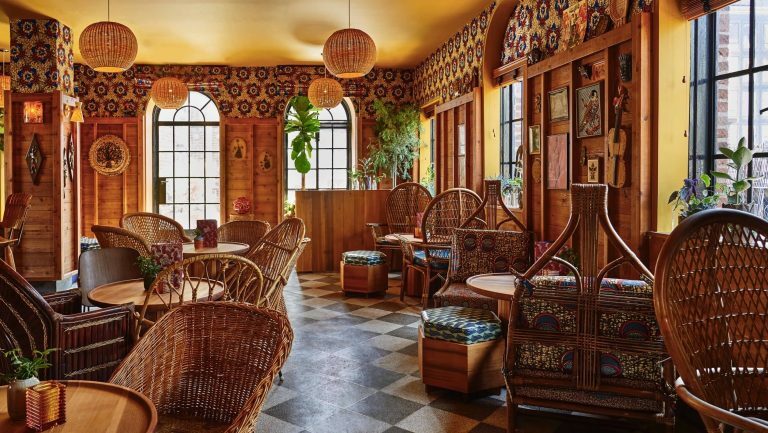 “It’s calm [then], and we sell a few pastries and pies, but all of that changes after 6 p.m. We take the pastries away, we add all the herbs and the fruits on the top of the bar. 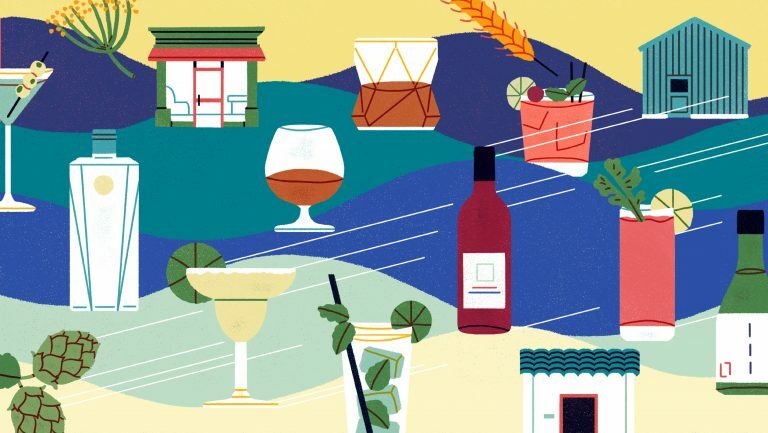 It’s more like a cocktail bar, but we still serve coffee and food.” Even though the bookstore doesn’t break out the alcohol until evening, Rimach-Vera says that the Wild Detectives’ alcohol offerings have proven to be the biggest profit makers, followed by the coffee, and then the books. Space limitations also mean that the book stock must be carefully selected. The Wild Detectives carries a specialized collection of books curated by the local literary community. Customers can also order books that aren’t stocked. 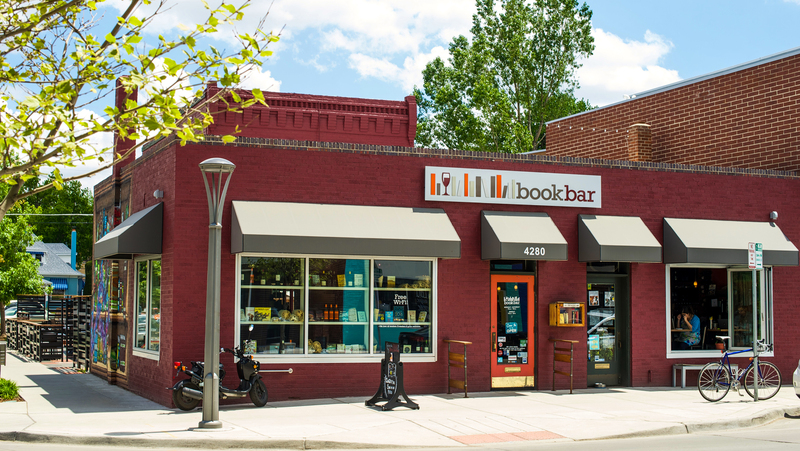 In fact, the shop has a Buy a Book, Get a Drink initiative that provides an incentive to customers: If they order a book to be shipped to the store, they get a drink on the house when they go in to pick it up. Book Bar Denver. Photo courtesy of Book Bar. Susan Johnston Taylor has covered business for The Atlantic, The Boston Globe, Fresh Cup and Pizza Today, among other publications.